Limited to just 2,000 copies. 1. 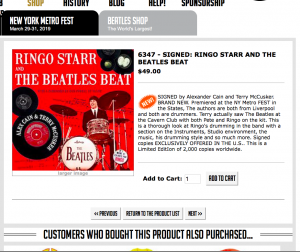 Order Signed Copies Of Ringo Starr And The Beatles Beat Direct From The Authors. 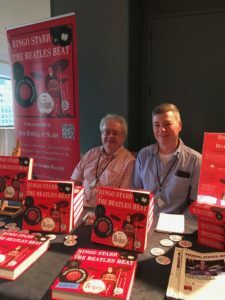 We ship worldwide – books sent to USA, Canada, Mexico, Brazil, Australia, New Zealand, Belgium, Germany, Sweden, Norway, Switzerland, Malaysia, Italy and France! All orders are fully insured and tracked, we will email tracking details. For orders outside UK, in the box below please provide your contact telephone number, unfortunately without it we cannot arrange delivery. For orders to Brazil, customs require your personal Tax ID, again we cannot ship your book without it. These details are required by the Courier before we can ship your book. We cannot ship your book without it. NEW! 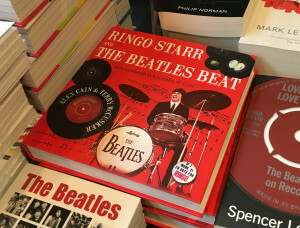 Signed copies are now exclusively available in the United States at the Fest For Beatles Fans online store – save on shipping by ordering within the USA! The only outlet for signed copies outside UK!